The Phoenix Foundation are yet another band from New Zealand that have caught my ear over the last six months or so. Despite having a large following in their home territory they have been playing small venues here in the UK to promote their first release here, Buffalo. 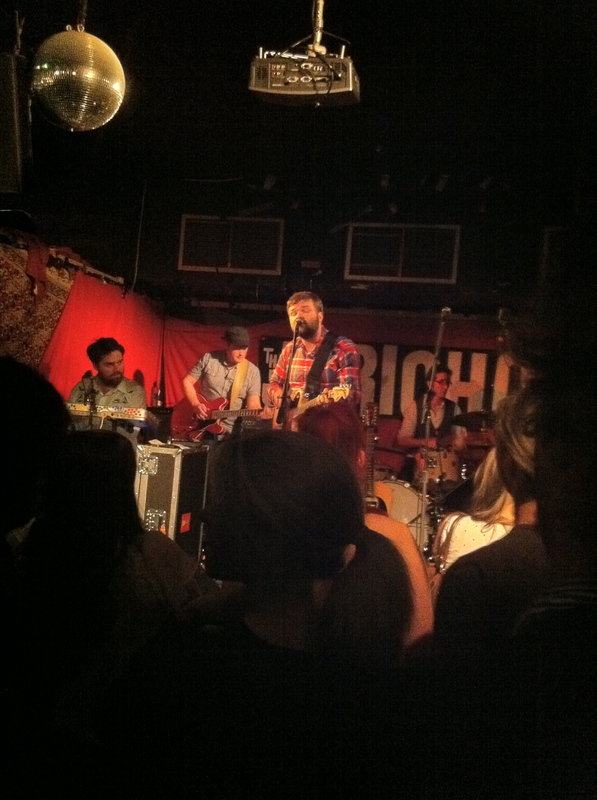 When it comes to small venues you can’t get much smaller than The Jericho. Its a bit of a legendary Oxford venue as most of the Oxford names (notably Supergrass and Radiohead) performed early gigs here. It was a bit of a blast from the past for me, as I hadn’t been to a gig there for about 20 years! The Phoenix Foundation seemed to be slightly boggled at exactly *how* small the venue was (they’ve done arena tour support slots back in NZ). There’s certainly something very intimate about a venue where the band has to come *through* the crowd to get to the stage! It was clear that the band were just as at home doing small gigs though. The set covered most of Buffalo – Bitte Bitte and Orange & Mango being two standout tracks in a very strong album – and a lot of songs from earlier albums that I didn’t know. The full and at times very intricate sounds of the album weren’t lost live – an impressive feat for a five piece band cramped onto such a tiny stage! The incredibly handsome (and beary) Luke Buda and Sam Flynn were obviously having as good a time as the audience and chatted to the crowd between songs – even getting bought a drink when Sam commented that he could use a beer! The Jericho is a really good venue for getting videos and I was quite pleased with the couple that I took on my iPhone and gives a better description of the band than any amount of purple prose! This entry was posted in gigs, music, oxford by foxbasealpha. Bookmark the permalink.